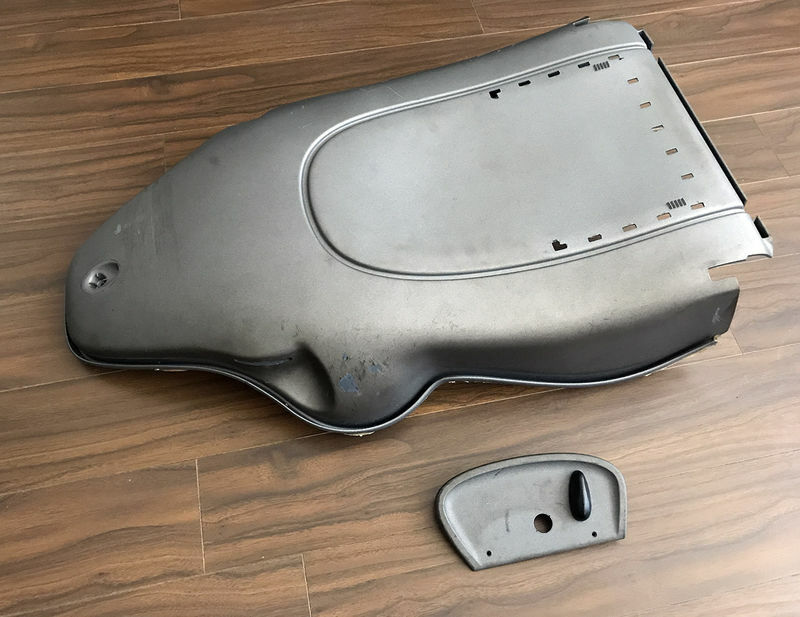 Can anyone suggest what is a safe but effective product for stripping the textured silver paint off of the seat backs (and other interior pieces) ?? I've stripped a lot of paint off of steel parts, but not plastic. 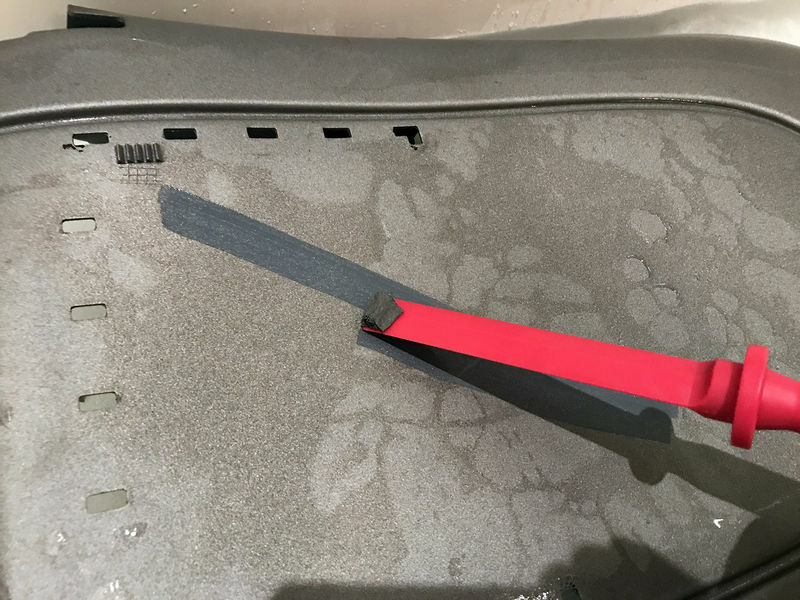 In this thread, one person mentions soaking the part in hot water in a bath tub for a while and then using steel wool to remove the paint. That person said it wasn't difficult to remove paint that way. There is more information in this thread too. I don't think there is any paint stripper that is safe for plastic, but I could be wrong about that. After a little research and experimentation I found that when the silver paint (coating) was warmed up I could scrape it off with my fingernail. Ended up putting it a bathtub of hot water (I'm single) and used a hard plastic scraper to peel off the rubbery paint. Then some steel wool to get whatever little was left behind. Probably about 30-45 minutes per seat. These scrapers are very hard plastic. Made for scraping gaskets and carbon off of aluminum heads etc without gouging the aluminum. A scraper that got a little soft from the hot water didn't work well.